Your ride a tuned truck and first thought when you see a rusty one is “I’ll smoke his a*s”, but you don’t know that it’s a sleeper! Everyone thought the same way for sure but you didn’t know what’s under the hood! At the video bellow is proof of power in a rusty truck, true sleeper! 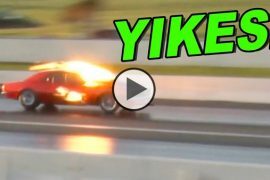 In the video bellow you can see another Ford vs Chevy battle on public road! The guy filming is inside the 2011 Chevy Silverado! 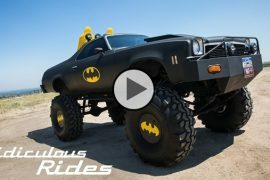 The underdog in this video is a 1970 Ford F-100 which is more than a 45 years old and teach the Siverado driver a lesson. The Chevy guy didn’t know that under the hood of this F-100 is hiding a 302 with a blower. You’ll enjoy in the street race between this awesome sleeper F-100 and a almost new 2011 Siverado bellow on the video. 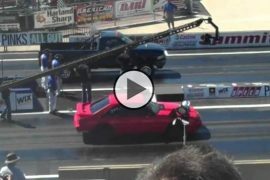 And don’t forget, a street racing is illegal, xtrhorsepower team is against this kind of racing! We all know, what’s forbidden is sweetest than legal right? Watch the video bellow and feel free to share and comment if you like. For more amazing contents, visit our Facebook page and stay updated. They Kicked Him Out – So He Ran THIS Instead!! Previous articleNew SUV Audi Q3 Will Come Out in 2018! Next articleSay Hello To The Farm Mod Built by High School Kids! I haven’t heard the term “sleeper” for YEARS! In the 60’s Mopar had these stripped down Plymouths with Hemi’s under the hood. Hardly any chrome trim, blackwall tires and “mooncaps”. These were known as “sleepers”! They looked like crap, but went like a bat outta hell! “Rusty truck”? That thing was clean. And fast. I had one of those Chrysler sleepers in high school in the 80’s. It was a 1967 Dodge Coronet with a 440. I did put a bigger carb on it, but the thing was plane Jane; gold, pop on hub caps, bench seats and fast as all get out. Plus, I could hide 3 people in the trunk at the drive in and put the cooler in the back seat. 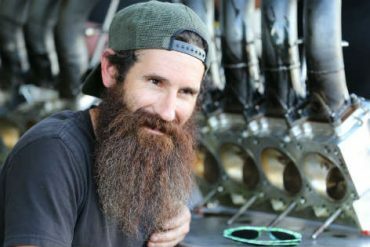 Aaron Kaufman, The Bearded Wonder Just Dropped A Huge Surprise!